PAM-XIAMEN offers 2",3",4"GaN substrate, including n type and semi-insulating. Near- and long-term market applications for bulk GaN substrates are examined, along with motivations and challenges for adopting the substrate technology for specific device applications. The near-term demand for bulk GaN is driven primarily by laser diodes, while solid state lighting and power electronics will drive the long-term demand. Challenges to achieving broad market penetration include increased volume production and reduced manufacturing cost, which are needed to penetrate incumbent GaN device technologies based on foreign substrates. Is it possible to use 4” non-patterned sapphire for fabrication? 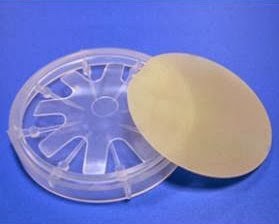 Not possible, currently all the manufacturers swift to patterned sapphire based wafer, including us, however if you really need flat sapphire based wafer, we we can offer 2" size.